Yacon is a delicious tuber that tastes more like a fruit than a root. It is an outstanding healthy alternative sweetener thanks to its high concentration of inulin, low glycemic impact, and healthy naturally occurring probiotics. 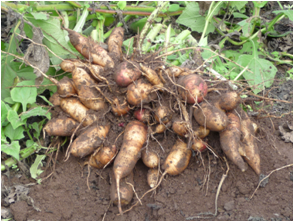 Yacon can be eaten fresh (sweet, crunchy, juicy) or stir-fried (like water-chestnut) or as chips (sliced and dried), or as a dry fruit. ​This species is a short, tender perennial shrub growing 35–75 cm (14–30 in) tall. The flowers are small, green and bell-shaped. The ripe fruit is orange-red. 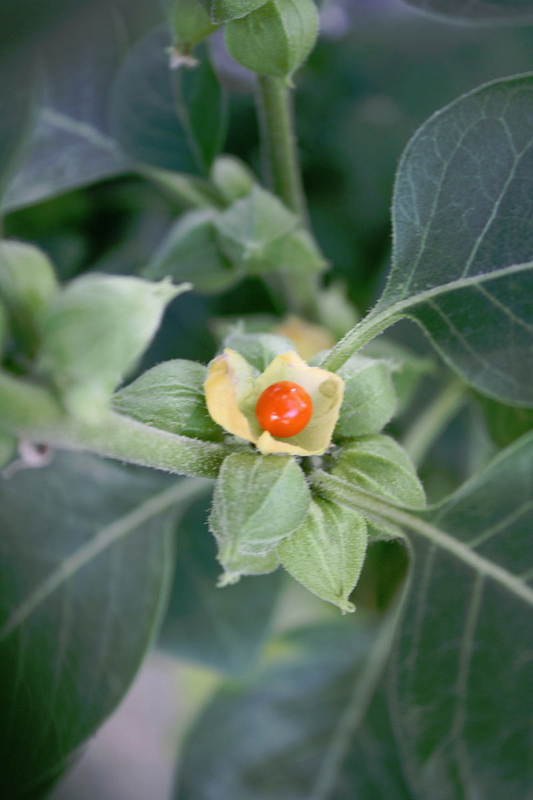 Ashwagandha, also known as Indian Ginseng, has a wide range of health benefits, including its ability to fight against cancer and diabetes, as well as reduce inflammation, arthritis, asthma, hypertension, stress, and rheumatism. Furthermore, it boosts your supply of antioxidants and regulates the immune system. It also has antibacterial and anticonvulsant properties. Ramie is a flowering plant, native to eastern Asia. It is hardy to zone 7. The leaves are heart-shaped, and white on the underside . Ramie is consumed in third world countries because of their richness of minerals.Ramie has been used for at least six thousand years, and is principally used for fabric production. Ramie is one of the strongest natural fibers. 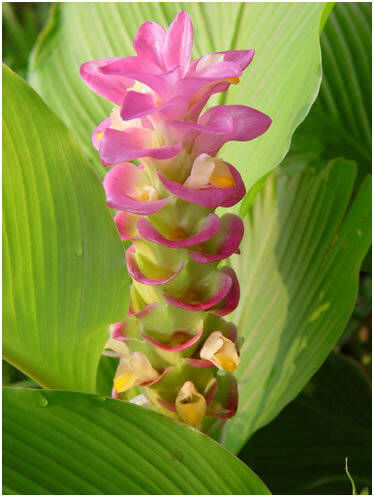 Ginger produces clusters of white and pink flower buds that bloom into yellow flowers. 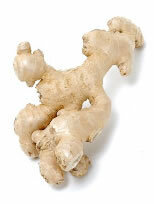 Ginger produces a hot, fragrant kitchen spice. Young ginger rhizomes are juicy and fleshy with a very mild taste. They are often pickled in vinegar or sherry as a snack, or for sushi, or just cooked as an ingredient in many dishes: gingerbread, cookies, crackers and cakes, ginger ale, and ginger beer. They can also be steeped in boiling water to make ginger tea, to which honey is often added; sliced orange or lemon fruit may also be added. Ginger can also be made into candy. 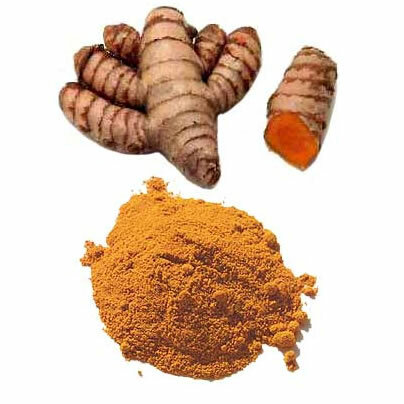 Tumeric is used as dye, spice and cosmetic (skin care). It is also known to be used for its anti inflammatory and other therapeutic properties. Its active ingredient iscurcumin and it has a distinctly earthy, slightly bitter, slightly hot peppery flavor and a mustardy smell. It is one of the key ingredients in many Asian dishes and in most commercial curry powders. In Vietnam, turmeric powder is used to color, and enhance the flavors of, certain dishes, such as bánh xèo, bánh kh?t and mì qu?ng. The powder is also used in many other Vietnamese stir fried and soup dishes. Turmeric is considered highly auspicious in India and has been used extensively in wedding and religious ceremonies. Turmeric has played an important role in bothBuddhist and Hindu spiritualism. The robes of the Buddhist monks were traditionally colored with a yellow dye made of turmeric. Alpinia galanga (Languas galanga) - An exotic herb used in cooking, especially in Vietnamese, Laos, Cambodian, Indonesian and Thai cuisines . It has a ginger-like hotness but a sweetly aromatic flavor. The young shoots are edible and delicious. The plant can grow to 1.5 meters in height with abundant long leaves which bears red fruit. 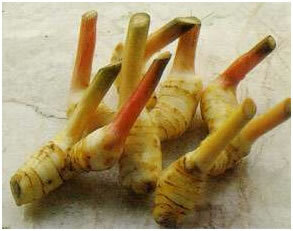 This is the galangal used most often in cookery. The red fruit is used in traditional Chinese medicine and has a flavor similar to cardamom. Elsholtzia ciliata ( Kinh Gioi)is a weed native to Asia, sometimes grown as an ornamental plant. 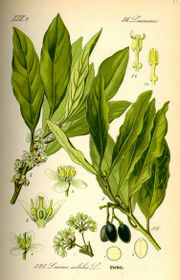 Velvety green leaves are aromatic, used as hard or medicine. Plant in garden in June. Loves full sun, tolerates some drought. Does not need fertilizing. Bring indoor in early September. - Popular in Southeast Asian cooking to color sweet rice and other deserts. The leaves and branches are boiled to make a broth with beautiful magenta color. This broth can be used right away, or can be frozen for later use. This plant originates in central America, where the Aztecs used it to flavor their chocolate drink 'Xoco-latl'. This is the only orchid that can produce edible fruits: the vanilla beans are used as a spice. Vanilla is the key ingredient in frozen desserts, yogurt, baked goods, candies, beverages. This small tree from India has scented white flowers. Its leaves are highly aromatic, used in curry dishes. 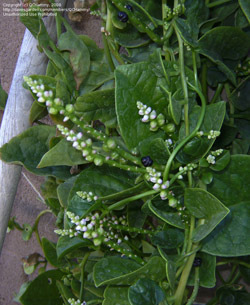 This cullinary herb is used in stir-fry dishes. It is also used to wrap marinated beef slices for BBQ. 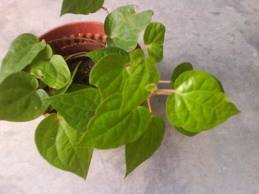 The plant is about 1-2 ft high, with shiny heart-shaped green leaves. This pepper plant has Light Green fuzzy foliage. It grows up to 4 feet tall and can live for 20 years or more.Perfect for use in Salsas and Salads. The Chili Pods of about 3 x 0.5 Inch change from Green to Black to Red at maturity, They register up to 30 000 on the Scoville scale. This cullinary herb is used in religious ceremonies. It is also used in Viet-Nam as an offering for wedding ceremony. The leaves are commonly used with Betel Nut (Areca catechu). Native to warm temperate to tropical regions of Asia, they have stout, jointed, fibrous stalks that are rich in sugar. 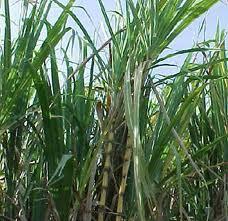 This species of Suger Cane is low in sugar content, but high in medicinal values. It is also easier to grow, and more hardy than the standard Sugar Cane. This variety has purple cane, about 1-2 inches thick. The cane can be eaten fresh by removing the skin, then chewed with a little sprinkle of salt (or chili-pepper salt). Wild Suger Cane is usually cut into short sections and cooked with Rock Sugar to make a refreshing drink. 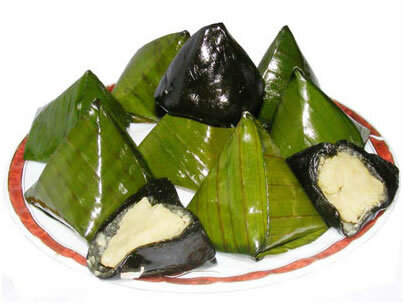 It is also cooked with fish to make 'Cá Kho Mía Lau' . 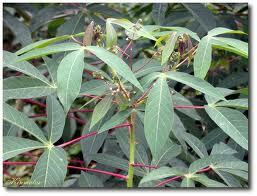 also called yuca or manioc, this is a woody shrub of the Euphorbiaceae (spurge family) native to South America. Cassava is extensively cultivated as an annual crop in tropical and subtropical regions for its edible starchy tuberous root, a major source of carbohydrates. 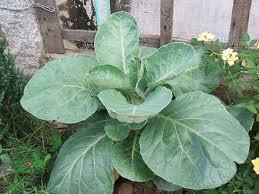 This fast-growing herb, appears related to the Okinawan spinach, has many promising medicinal properties. 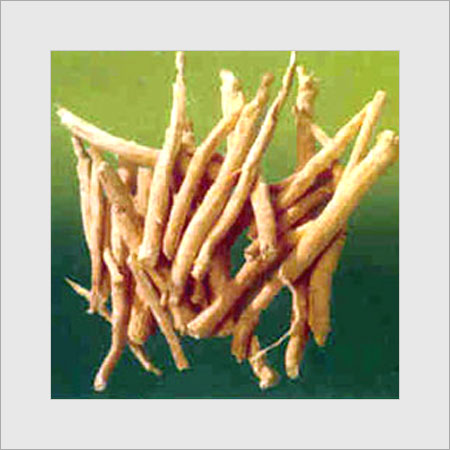 The plant has been used widely in Asia as traditional medicine for treating diabetes, hypertension, high-cholesterol, rheumatism, viral ailments, and other illness. The fleshy branches can be trimmed and pinched regularly to grow as a low bush, or staked on trellis. Leaves are green. Young stems are green, turning light purple with green spots. New shoots and branches appear frequently at base and leaf nodes. Flowers are yellow. Young leaves can be eaten fresh by itself or mixed in with salads (like lettuce or spinach). Some like it cooked with butter or in a casserole. Others prefer to have it stir-fried (just fry garlic in little oil and then sautee the leaves and young shoots in oyster sauce). 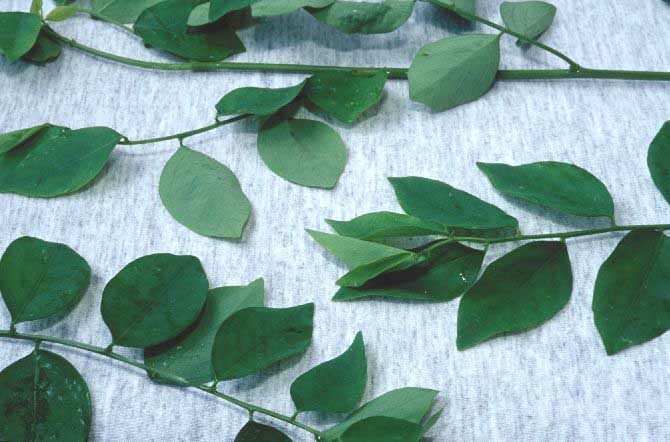 Gymnema sylvestre is a woody, vine-like plant, which climbs on bushes and trees. 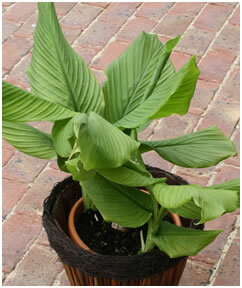 Quick and easy to grow as a houseplant or in the garden. 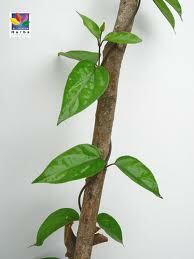 Cinnamon makes a nice houseplant, with its nice foliage (glossy bright green leaves, with reddish young leaves) and its ability to take some neglect. Cinnamon is native to India and Sri Lanka. The ancients used cinnamon as a medicine, a perfume, a flavoring spice and extensively as a preservative; cinnamon is an extremely potent antibacterial/antifungal. Jello Plant, -(Xuong Sam) Tiliacora triandra- native to mainland Southeast Asia, this vine is a fast grower, providing plenty of leaves for use as organic jello. Fresh leaves are squished by hands to produce a green natural jello. The curd is then sliced and put in syrop to make a cool, smooth desert. A small plant with bright green heart-shaped shiny succulent leaves used in salad. The best salad plant ever! The whole plant's foliage (all leaves and branches) is washed and tossed into salads. Goes well with any of your favorite salad dressing. Fast-growing. Prefers shade. You only need to buy the seeds or plants once: the plant is self-seeded in warm area. In cold area, collect seeds for next year's sowing. Not suitable for shipping over long distance. Make your own green tea! 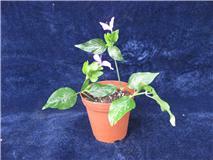 This nice house plant with shiny dark green leaves is in the same family with Camellia flower plants. Young leaves are used to wrap beef slices before grilling. Also used in stir-ffried with frog-legs. Leaves and tender shoots cooked and eaten as greens. Leaves, roots, and flowers have medicinal properties. This tender perennial is a grass that can be brought inside to make an interesting house plant. The arching leaves are sturdy, aromatic when crushed. Used in many Thai and Vietnamese dishes. This plant has a very nice scent. It is widely used in South Asia to give scent to sweet rice and other desert dishes. Before cooking, just add one leave to your steamed rice and the rice will become fragrant, even more fragrant than jasmin rice! 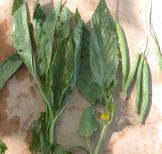 The leaves are also used as traditional medicine for diabete. This plant grows to 5 feet high, producing pretty yellow flowers resembling a hibiscus flower. Crunchy fruits are used fresh or cooked in many dishes in Asia and Africa. A super-sweet herb that is hundred times sweeter than sugar with no calories ! A native perennial from Paraguay, the leaves of this herbs have been used as a natural sweetener there for centuries. Widely used in food industry in Brazil and Japan to sweeten sodas and baked goods. A hardy perennial herb with a good sharp lemon flavour . Very early, one of the first crops in Spring. 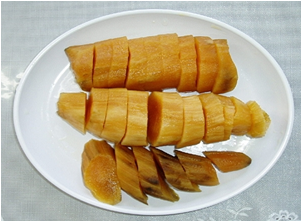 Used in various kinds of Vietnamese Spring Rolls to replace Star Fruit slices. Very easy to grow, producing rosettes of bright green leaves - great in salads, also very good cooked in soups and sauces. The plant contains oxalic acid, which is an active medicinal ingredient. Very popular in Oriental cuisine, this vegetable produce stringless 1-foot long beans that dangle on the vine like pairs of chopsticks. Large violet flowers. Excellent for salad, stir-fried, or Thai curry dishes. Try this beautiful crop in your garden this year! Very popular in Oriental cuisine, this vegetable produce stringless 1-foot long beans that dangle on the vine like pairs of chopsticks. Large violet flowers and red beans. Excellent for salad, stir-fried, or Thai curry dishes. Try this beautiful crop in your garden this year! New variety with superior taste and thin skin, thick flesh, much better than cherry tomatoes. The vine is very decorative with bright green serrated leaves and numerous yellow, scented flowers. The melon has an interesting look, about 6 to 12 inches long, with a bitter taste that can be reduced when preparing. Fast-growing vine with orange-yellow flowers followed by edible fruits. Used in soup and stir-fried. Fast-growing vine with giant fruits. Used in soup and in making candies. Vine with dark green leaves and yellow flower. Fruits have White, fragrant flesh, used in stir-fried dishes or soup. Vine with green leaves and yellow flower. Fruits have White, fragrant flesh, used in stir-fried dishes or soup. Mature fruits are rpocessed and used as a bath or kitchen sponge. This fast-growing vine can quickly cover a trellis or any structure you want to hide (an unsightly wall, storage shed). At the end of the season, you will be rewarded with decorative gourds dangling on the vine. This gourd is expensive and not usually found even in Oriental markets. Delicious in stir-fried dishes, soup, or steamed. This fast-growing vine has big leaves and is very productive, producing fruits weighing upto 1 kilogram. Fruits are long, cylindrical, with light grên color. Pick when young for tender flesh, excellent in stir-fried dishes, soup, or steamed. This tropical spinach is highly nutritious, easy to grow, and decorative. Does not bolt even under extreme July heat. 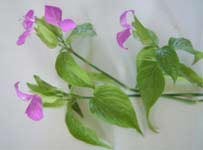 The vine has bright purple color with green succulent leaves. 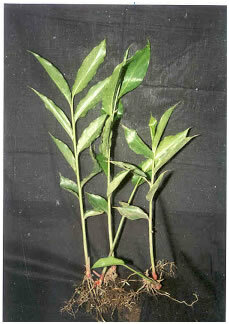 Well-fertilized vines produce palm-sized leaves throughout summer for use in salad or soup. This sweet-potato vine produce abundance of new growth and young leaves for cooking. This foliage is used (boiled or steamed) in many countries. At the end of the season, dig out the sweet potatos for baking or deep-frying. These varieties are well suited for our short summer. The red fruits are intensively hot. The super dwarf variety can also be grown as a bonsai on your kitchen counter, a convenient living spice rack! This colorful vegetable makes nice decorative plants in your garden. Bright green leaves have contrasting red spots. Used steamed or boiled. 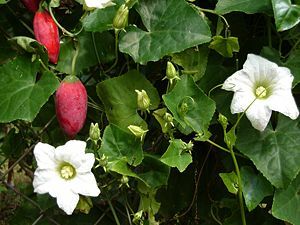 Also called bush okra, Jew's mallow, or jute mallow, this is a popular fiber crop in West Africa, Vietnam, Malaysia, Egypt, Philippines, and Central America. Plants with small yellow flowers borne in the leaf axils can grow to more than 5' tall. The optimum planting distance was found to be 50 cm. x 20 cm. It is an upright, slightly woody herb with serrated leaves. The edible shoot tips are cooked in stews and have a mucilaginous consistency similar to okra. In West Africa the leaves and tips are stored dry, and in India the shoots are cooked with rice. A favorite leaf-vegetable commonly used in stir-fried dishes (especially with oyster-sauce). Crunchy stalks and tender leaves, with nut-like flavor. Chinese Mustard, Mustard Green, Gai Choy (Cải Xanh)- This popular Oriental leafy vegetable is the same plant used in Europe to make mustard. With a mild peppery taste, the leaves are steamed, stir fried, or used in salads. Hotter varieties are used for pickling. Leaves are sword-shaped, erect, dark green above and deep purple underneath. Interesting flowers: small, white, three-petaled, crowded into boat-shaped bracts borne down among leaves. Used as a medicinal herb in South Asia. Chopsuy Green, Vegetable Chrysanthemum (Tần-Ô, Cải Cúc) Aromatic leaf vegetable with pretty yellow flowers. Used fresh or in soup. Coriander, Cilantro, Chinese Parsley (Ngò) - Widely used as garnish in Oriental and Italian dishes, this herb is said to relieve the common cough. Used in Vietnamese spring rolls, Mexican salsa, and many other dishes. Withstand hot weather better than the regular coriander, this herb retains its flavor even after cooked. 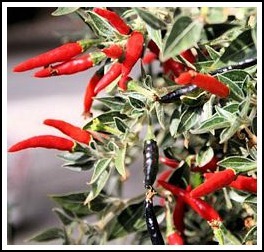 Used in many Oriental and Latin American dishes. 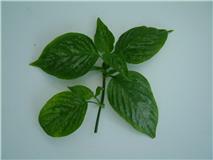 With its mild but distinct aroma, the Vietnamese coriander is becoming more popular among new herbs. This tender perennial can be used in many dishes where the regular coriander is called for. It is widely used to garnish salads, especially the well-known Ga Xe Phay (Vietnamese shredded chicken salad). You have got to see it to believe it! The plant practically 'walks' around your garden after a few seasons. Extremely hardy and easy to grow, this perennial provides your kitchen with green shallot from early April to late October. Very vigorous and trouble-free. Perennial herb hardy to zone 5. Nice heart-shaped leaves are used fresh in salad and other dishes. Chinese Chive, Garlic Chive, Gow Choy (Hẹ)- A hardy perennial chive with aroma more intensive than that of the regular chive. Very easy to grow. Clump-forming. 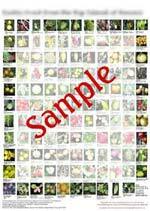 Used fresh in salad, spring rolls, in stir-fried dishes or in soups. The taste is like a combination of leek, chives, and garlic. - An aquatic plant that grows to 1 meter or more. The stalk (stem) is used in Tom-Yum soup or Tamarind soup. Katuk, Sauropus androgynus is common in Asia. It is rarely found in the wild, occurring from India to Vietnam. A delicious hot weather green vegetable, widely considered to be one of the most prolific, nutritious and appetizing of all green-leaved vegetables. It has been proven to out yield all other edible leafy greens, and thus merits further attention. Katuk is one of the staple vegetables in South Asia. The superb and unique flavor of these leaves is most similar to peanuts, also similar to snow peas. Then tender tips, the leaves, the flowers and the young berries are all used for food. Older leaves can be eaten raw but are commonly cooked. The young leaves and tips are eaten raw in salads. When cooked all parts of the plant have a distinct agreeable aroma and flavor and the leaves and stems retain their dark green color. The leaves have about 6-10% protein content. The roots and leaves are sometimes used as medicine. Unique aquatic herb with a distinct aroma. 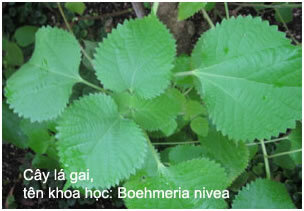 Used in many Vietnamese dishes (Sour soup, salads).